In the year 1891, basketball was invented by Dr James Naismith, who was of Canadian origin, when he was teaching at the YMCA school in Springfield, Massachusetts. Although the first game took place in the United States, ten of the first players were students from the University of Quebec, which is located in Eastern Canada. 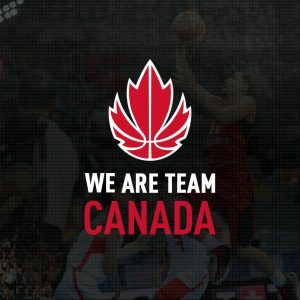 Basketball played by amateur local teams and schools has been part of Canadian sports since the turn of the century, and the Hoops teams have represented Canada since the 1936 Olympic games, and the 1945 World Championship. The Edmonton Commercial Graduates, which was an amateur basketball team in Canada, is the most storied team in the history of basketball in the earlier days. The team was made up of female basketball players, and dominated the sport in the 1920s, ’30s and ’40s, playing over 522 games, both home and abroad, against both women’s and men’s teams, managing to accomplish a record-breaking streak of 147 games and 502 overall match wins. Similar to Spielberg, the best days for Canadian basketball was the 80s in the year that saw the world rise of popular cultures such as movies that continue to air on the screens even today, music and the excellent performance of the Canadian Hockey team during this period. After the initial formation of the National Basketball Association (NBA) in the United States, there was a need for expansion of the league to other cities in North America, and Canada was seen as the best country, because of the population and the popularity of the game. In 1995, two teams from Canada, which were the Toronto Raptors and Vancouver Grizzlies, joined the league, with the Vancouver Grizzlies relocating to Memphis, Tennessee in 2001. Currently, only the Toronto Raptors participate in the NBA league and are members of the Eastern Conference Atlantic Division. The National Basketball League of Canada (NBL Canada) was formed in 2011, with the aim of promoting a domestic basketball league in the country. London Lightning won the first two national league titles, and there are currently 10 franchises in the league, with representation from all over Canada. The London Lights are a Canadian professional basketball team based in London, Ontario, and the team plays all its home games at the Budweiser Gardens. The team won the inaugural three consecutive championships. The Halifax Hurricanes participate in the Atlantic Division of the NBL Canada and were founded in 2015, to replace the Halifax Rainmen, who were declared bankrupt leading to folding up of the club. The Hurricanes are based in Halifax, Nova Scotia and play home games at the Scotiabank Centre.